At the final Dublin Growth Hackers event in 2014, Justin Mares @jwmares spoke about the concept of ‘Traction’. 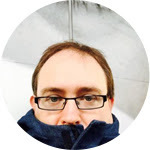 Now as we move into 2015 the organiser of those Dublin Growth Hacker events, Jason Roe @jasonroe has now launched a series of events to bring the latest digital insights for growing the impact and reach of your business activities. Coming soon on February 25th at the NDRC. Join Traction, the community of data-driven Growth Hackers and innovative entrepreneurs who share the fundamentals of rapid growth hacking & digital marketing best practices. Are you looking for low-cost and high impact strategies to drive revenue for your organisation? 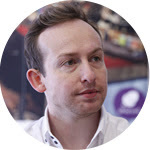 Head of Marketing @Con_Keppel, Phorest Salon SoftwareForbes describes Phorest as the leading salon software provider. As Head of Marketing, Connor’s role is to build a team of hair, beauty and marketing fanatics and to find new ways of helping the company grow faster, sustainably. In terms of salon software, Phorest is the market leader in Ireland, fastest growing in the UK and has recently entered Finland and the USA. 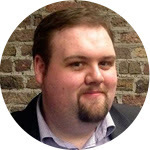 VP Growth & Marketing, @donal_cahalane Teamwork.comIn the last five years, Donal has helped over 60 startup companies find funding, get themselves together and launch their first product all over the globe. He has considerable experience in working with technology startups , transitioning them from the early days of bootstrapping into revenue-generating companies.